Environmental Safety Action Plan | Sustainability | Mitsubishi Gas Chemical Company, Inc. The Mitsubishi Gas Chemical Company (MGC) supports the main ideas of sustainable development and the creation of a recycling-based society set forth in the declaration agreed on by the nations in the world at the Environmental Summit held in Rio de Janeiro in 1992. 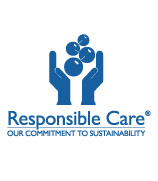 Accordingly, MGC has been promoting the Responsible Care initiative by participating in the Japan Responsible Care Council (JRCC*) since its inception, becoming a member, and establishing an Integrated Safety Management System. Responsible Care is the chemical industry’s, including MGC, voluntary activities to harmonize business activities with global environment preservation through ensuring environment, safety and health in all stages of chemical substance life cycles from development, manufacture, distribution, use and final consumption to disposal. * Operated as the Responsible Care Committee of the Japan Chemical Industry Association since April 2011. MGC adopted the Responsible Care Medium-term Plan and set Responsible Care Mid-term Targets and is making efforts to achieve those targets in order to promote responsible care. This data was reported in prior issues of the CSR Report up to 2016.